So many wonderful new releases have hit my desk recently, and I'd like to share a top 10 selection with you this week. 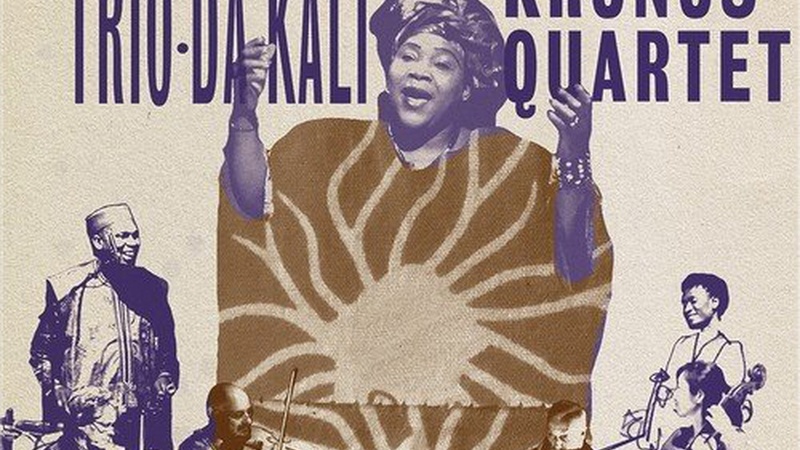 We start off with the daring chamber group Kronos Quartet, with an album of Malian modal groove provided by Trio Da Kali mixed with the famous Kronos sound. Once again, Kronos has pulled off a natural and effortless blend of disparate musical traditions—in this case, African music with European. Kudos to them on this new release called Ladilikan, from the great U.K. label World Circuit. Putumayo has just issued two terrific complications of Cuban classics. We hear this week from the Cuban Playground album with Havana Mambo doing “La Mecaniquita” (The Little Female Mecanic). Somebody tell me what the lyrics mean, as songs like this tend to be filled with racy double entendres! Banda Magda, a group with a global pedigree led by Greek-born composer singer and accordionist Magda Giannikou, has a wonderful new album out called Tigre. I really liked their past albums and this one, too. The group just premiered a fun video of the track we hear, called "Tam Tam." 5. Gregory Porter / "Yarbird Suite" / The Passion Of Charlie Parker / Impulse!